Most of these birds are carnivorous fish eaters. 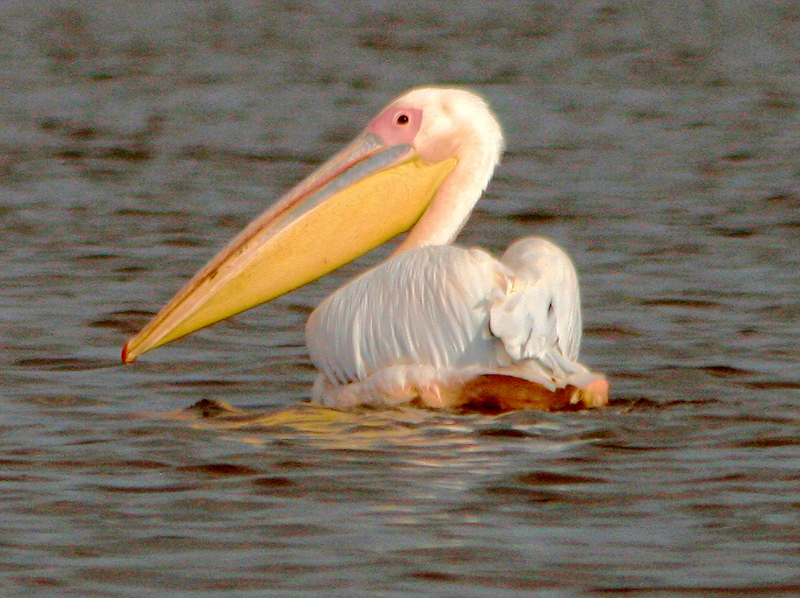 Feeding techniques include plunge diving or swimming and diving to pursue prey, surface feeding and piratical behaviour. Some are opportunistic feeders and have become scavengers. They are a group of aquatic predators which have evolved with various characterisics, which enable them to specialse in catching different kinds of prey. In some cases, birds which are unrelated and are found in different oceans of the world, have evolved to look and behave very much like each other. Ornithologists call this Convergent Evolution and I will flag such instances in the review below. The images used in this review are just a small selection from the many photographs which I have taken over a few years. They serve to illustrate the wide diversity of Sea and Ocean Birds. These birds appear to have evolved 71 mya when they shared a common ancestor with the Albatross.1They became flightless with their wings becoming flippers to propel them through the sea. Their feet are so far back on the body that they stand upright on land. By 40 mya the earlier versions were becoming extinct because they were unable to compete with other fish eaters. At about this time genus Aptenodytes the King and Emperor Penguins diverged and became basal to the group which are our modern Penguins. Further divergencies resuled in new species in the period 34 to 25 mya and again 5 mya. They are only found in the Southern Hemisphere on the southern coasts of Australia, New Zealand, South Africa and South America and Antarctica. (17 species). 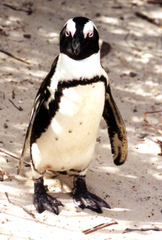 The Jackass Penguin (right) is the only Penguin resident on the South Coast of South Africa. These photographs were taken at Boulders Beach, in March 2001. Auks, Murres (Guillemots), Razorbills and Puffin. These birds are very similar in body form to the Penguins, especially when seen swimming in the sea. Unlike the Penguins they have retained the ability to fly. 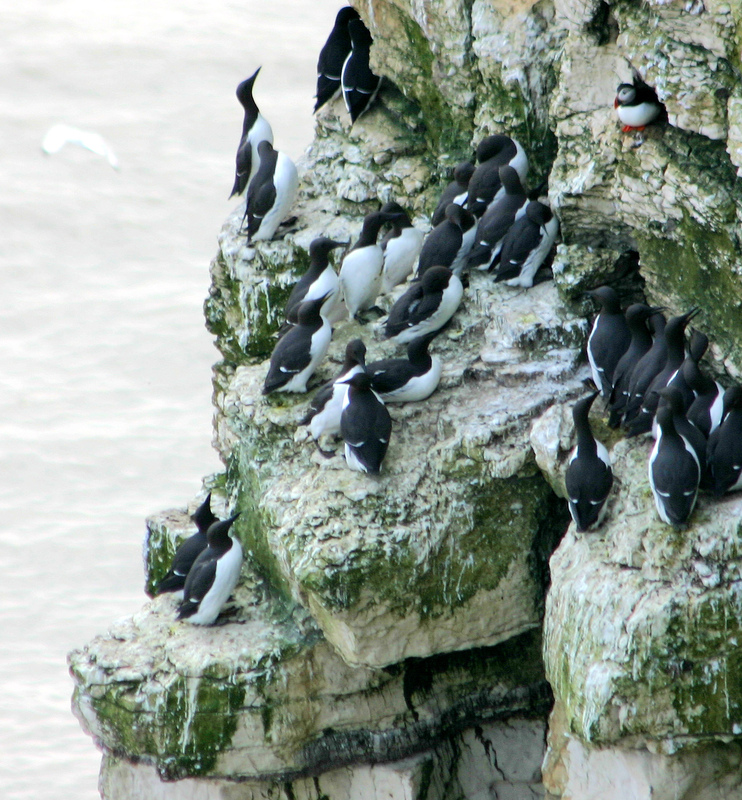 They are found in coastal areas of the Northern hemisphere (23 species) whereas Penguins are found in coastal areas of the Southern hemisphere.The Common Murres (left), which most birders still call Guillemots, were photographed nesting at Bempton Cliffs in the UK. A close look at the image on the left reveals a Puffin in the top-right of the photograph, apparently keeping watch over the Guillemots. 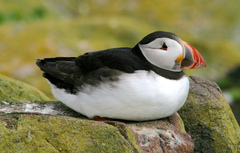 I was able to get a good shot of the Puffin (right) during a boat trip to the Inner Farne Island in June 2008. 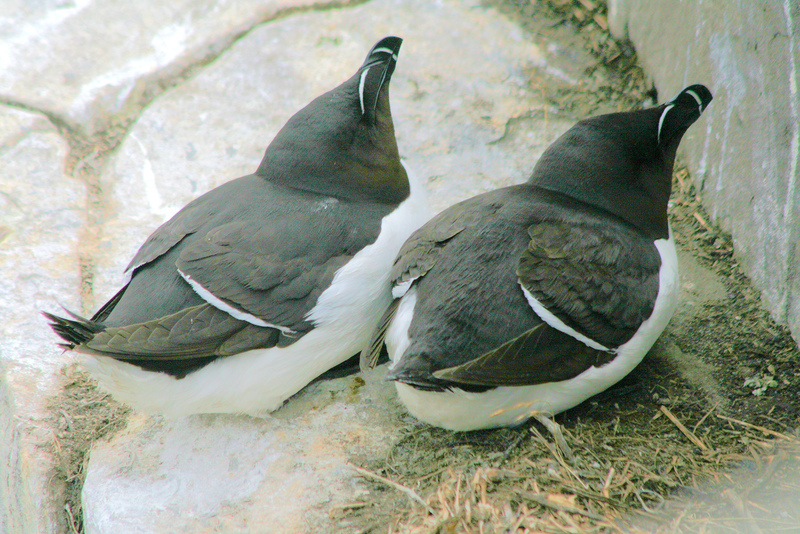 Wherever you see the Common Murre you are also likely to see another cliff nester - the Razorbill (right). 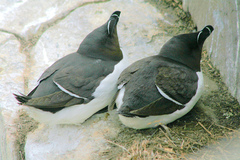 The Guillemots tend to pack close together on narrow cliff ledges whereas the Razorbills are more scattered on broader ledges. 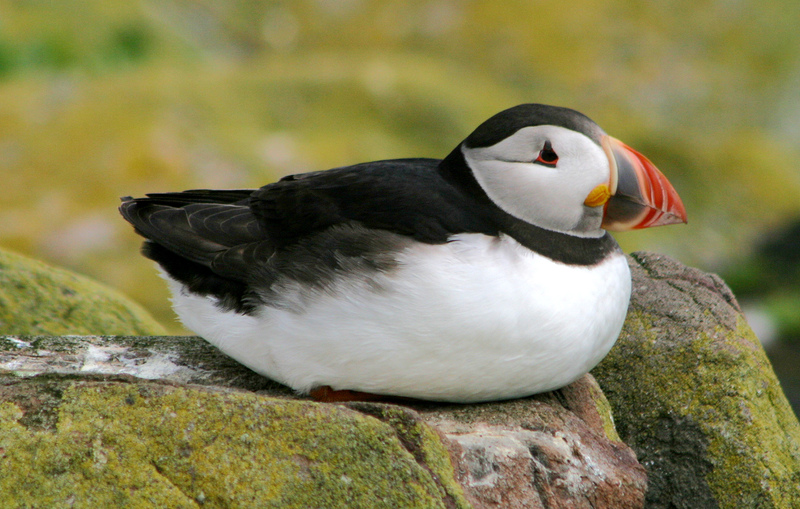 The Puffins tend to be on the grassy slopes at the top of the cliffs. This behaviour, which enables these three species to live together in the same habitat, is termed Niche Separation. Tubenoses include the Albatross, Petrel and Shearwater, Storm and Diving Petrels (117 species in all). Albatross are found in the Pacific, Indian and Southern oceans. 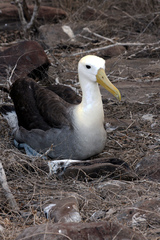 Tom took this image of the Waved Albatross (left) on Hood Island when he visited the Galapagos in November 2008. Petrels, Shearwaters, Storm Petrels and Diving Petrels are widespread. The Northern Fulmar (right), which is a Petrel, has a southern hemisphere counterpart. 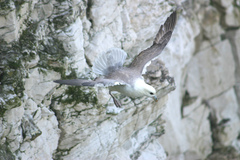 Fulmars often follow fishing boats catching fish on or near the water surface. The Magellanic Diving Petrel and the Little Auk appear almost identical in appearance. The former is found in the Southern Ocean and the latter in the North Atlantic Ocean and high Arctic region where they nest in large colonies in crevices on scree slopes. Evidence suggests that the Diving Petrel might have evolved before the Little Auk. Gannets and Boobies are sea birds which have taken plunge diving to a new level (10 species). They appear to have evolved about 20 mya. 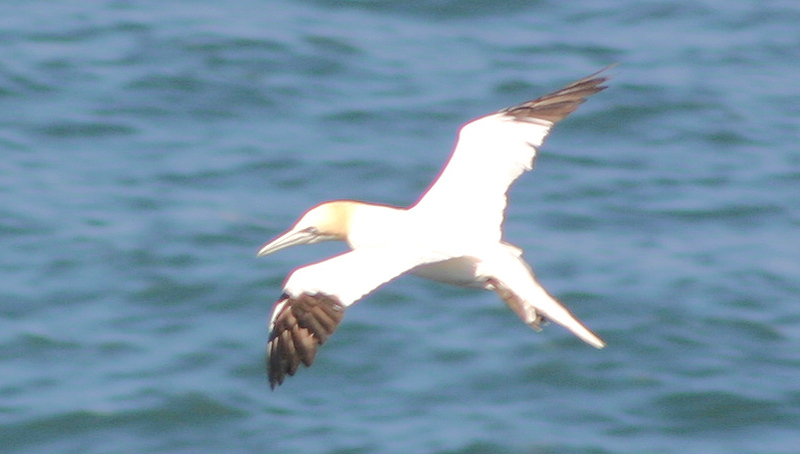 Gannets favour coastal areas. Three species are known: the Northern Gannet (left) is readily seen from Bempton Cliffs in the UK, two others are found in the African and Australian coastal regions. 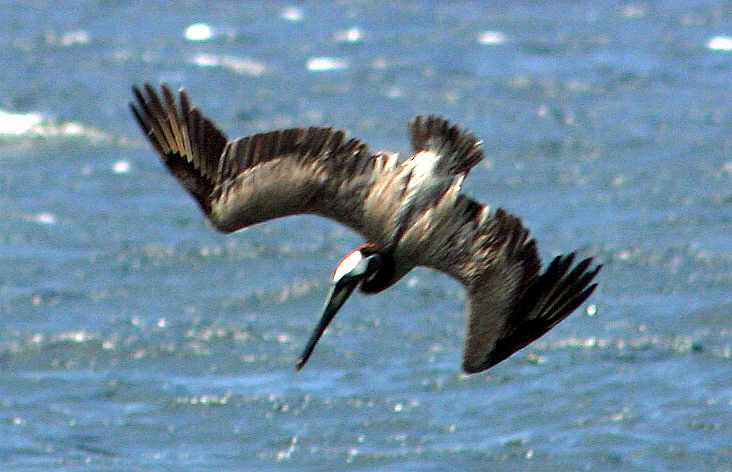 Boobies favour island coasts and are found in the Pacific, Indian and Tropical oceans. 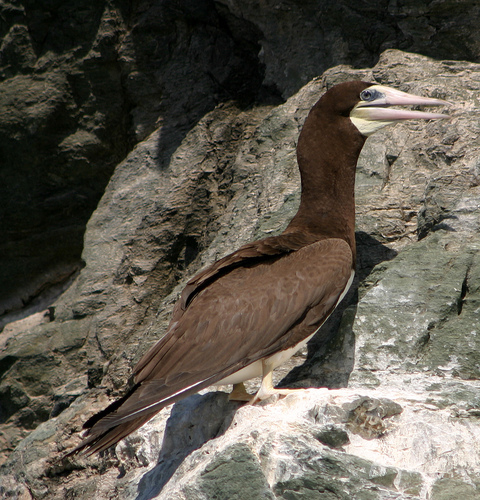 I photographed the Brown Booby (right) from a boat as we circled St. Giles, Island when we were staying in Tobago. 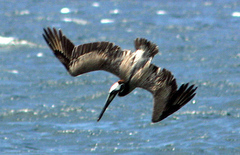 Various other Boobies are mainly found in the Tropical oceans. The Brown Pelican (left) is a punge diver but the other Pelicans find it easier to scoop their prey into the pouch below their lower mandible. (8 species). I photographed the Great White Pelican (below, left) on Lake Naivasha which is one of the large lakes in the Rift Valley, Kenya. Tropicbirds are only found in the Tropical Oceans (3 species). 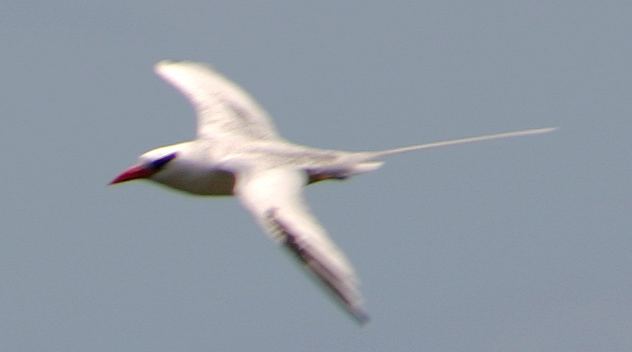 I photographed the Red-billed Tropicbird (below, right) on Little Tobago. They plunge dive taking prey with their dagger beaks. These birds breed on oceanic islands, laying their eggs in crevices on the ground or under overhanging rocks. 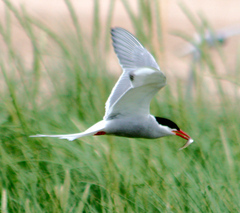 Terns found in marine and inland waters (45 species). In appearance they closely resemble the Tropicbirds. Some Terns hover before taking their prey just below the water surface. We had good views of the Arctic Tern (left) when we were in Northumberland in June 2008 with Tom & Jean. This one, which had just caught a fish, was taken from Long Nanny Wardens hut. 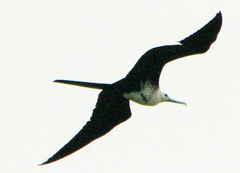 Skimmers have surely evolved from the Terns (3 species). They hollow out a nest in the sand using their feet and body pressure. They fly close to the water surface using their lower mandible, which is longer than the upper one, to plough through the water. When it touches a fish the beak snaps shut. 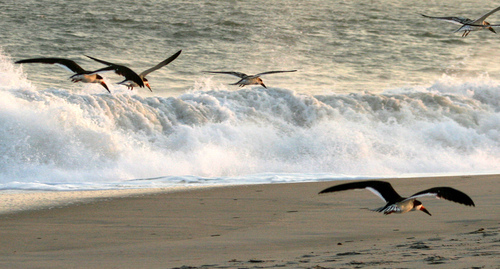 Colonies of Black Skimmers (below, right)on the beach at Cape May, New Jersey, USA are a most memorable sight. Frigatebirds are found in the Pacific, Atlantic Indian and Tropical oceans (5 species). They are piratical scavengers. The Magnificent Frigatebird (below, left) was photographed when we were on South Padre Island during a visit to Texas. Small Gulls tend to be surface feeders but the large Gulls have become scavengers taking whatever food is available, both at sea and on land. (52 species). The Silver Gull (left) was photographed in Cairns and later in Brisbane, Australia in October 2007. 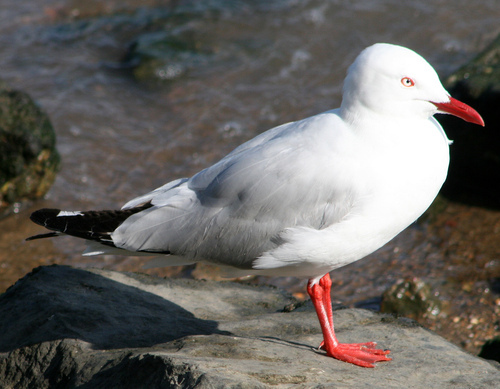 It has all the features ascribed to the Silver Gull namely: beak, eye-ring and feet are red, iris white, mantle grey and tail has black tips. These birds (7 species) look like the Gulls but are very powerful and aggressive dominating other sea birds in their vicinity. They are mainly northern hemisphere birds. A disparate group of aquatic predators which have developed a variety of ways of catching fish. Signs of early evolution.